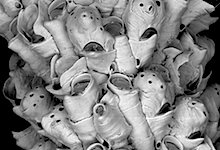 Some recent publications consider Antarctothoa and Neothoa as subgenera of Celleporella. For convenience, these taxa are treated in these web pages as if they were separate genera. 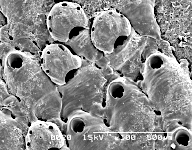 This page therefore includes only the species assigned to the subgenus Celleporella. However, some of the species in the list below may not be correctly assigned at present. (If you are able to provide better information, please tell me). 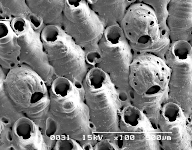 Celleporella hyalina at The Bryozoans of the Pacific. Antarctothoa antarctica at Atlas of Antarctic Bryozoa. Celleporella hyalina at mugga.se (watermarked).